3. The best time to apply moisturizer is to put on immediately after you shower when the skin is damp. Be sure to visit the Skindicator App for a personalized skin care regimen recommendation from Eucerin’s Skin First Dermatologists. 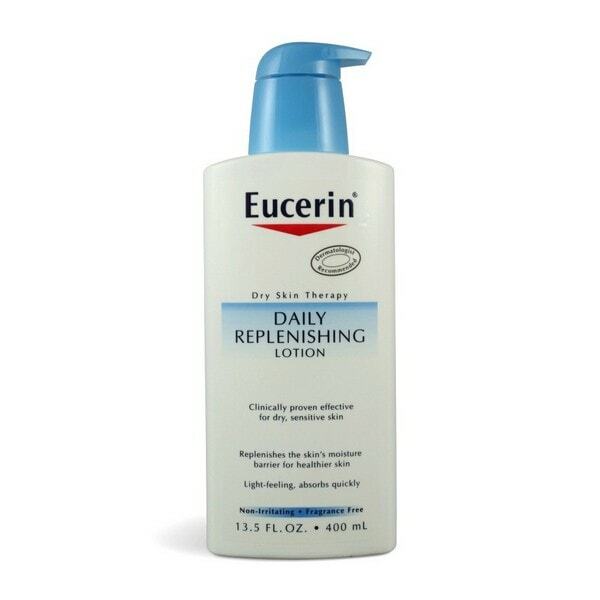 Eucerin Daily Replenishing Moisturizing Lotion (13.5 oz) – This light, everyday formula with nourishing sunflower oil absorbs quickly and provides 24 hour moisturization for healthier-looking, softer skin. It keeps skin moisturized all day with a lotion specifically formulated to replenish the skin’s natural moisture barrier. Previous Post: « I Do Believe In Fairies… I Do. I Do. Love Eucerin products – great giveaway! а similar one and i was just wondering if you gеt a lot оf spam resρonsеs? If ѕo how do you prevent it, any plugin or anythіng yοu can recommend? I get so much lately it’s driving me crazy so any help іs veгy much аppreciated.